David Millar is back with one hundred brand-new brain games and puzzles to get your blood pumping and your brain racing! These never-before-seen games are a fun way to unwind, or make it a competition between friends and family. It’s great to toss in your bag for a plane ride, or to bring along for any time you need a break. Prepare to be perplexed with these fresh new puzzles to train your brain. 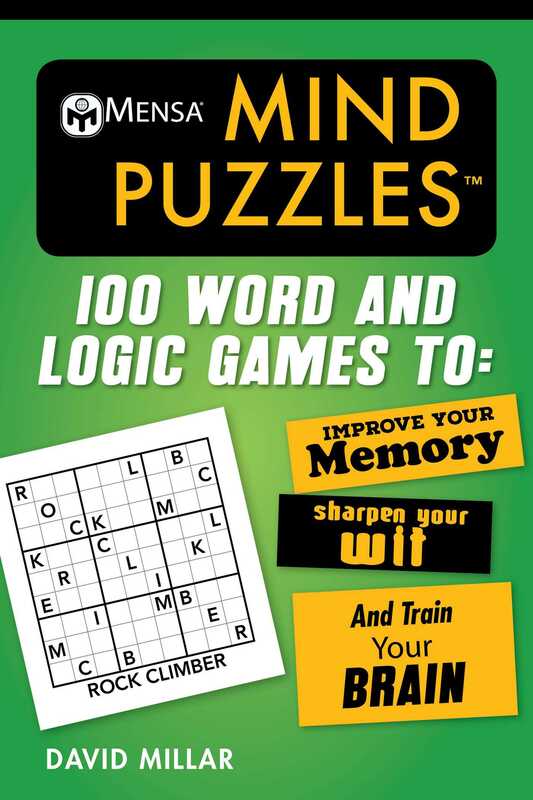 Don’t miss out on the newest installment of American Mensa’s® Brilliant Brain Workout series! David Millar is a puzzle author and graphic artist who combines both disciplines to craft puzzle and gaming materials. A lifelong stationery nerd, he is never without many trusty notebooks full of graph paper, whose contents span puzzle grids, dungeon maps, user interface designs, sticker ideas, and beyond. In addition to a career in web application development and software engineering, David has more than a decade of puzzle blogging under his belt, and his puzzles have previously featured in UK and World Puzzle Championships. He resides in Fort Worth, Texas.